As I reflect back on my own journey learning about both English and Chinese in Singapore, the relative importance of these two languages actually reflect the rise of China against the backdrop of the only Superpower nation (United States) then after the collapse of the Soviet Union. In my younger days, the Chinese language is a language that I learn only because it was my “mother tongue”. And I hardly used it outside the context of family and friendly banter with my Chinese friends. I realised that as China’s economic clout increases, the importance of being able to communicate well in business Chinese has increased multifold. And while the miracle of technology have brought us tremendous progress in translation (such as Google Translate), I still need to be able to catch some of the nuances that only a human can currently catch that. The recent China-USA trade war reflects the threat that the Americans’ perceive the Chinese to be. In the short term, both countries will be negatively affected but I believe in the mid to long term, these issues will turn in China’s favour. I can only say that I wish I had been more diligent and master my Chinese language better when young! This therefore will be a special issue, where the main body of the newsletter is written in Mandarin by Joyce, with the English version below. Throughout my life’s journey, I have made mistakes that I wish I didn’t. In the area of business and investing, there are lessons learnt earlier in my life that in retrospect could have been unnecessary. And this spans many areas, ranging from choosing the wrong companies to invest in, choosing and working with unsuitable team members, taking things or information at face value, and the list goes on. I wonder to myself if there is anything that I can do better to reduce, if not eliminate these sort of errors. Eventually, I came to a phrase that will remind myself to (hopefully!) minimise such mistakes. That phrase is “Pay Attention”. This short phrase may remind you of some teachers who, during your time, would always remind or even shout out to certain students in your class. Yet, as adults, I realise that many mistakes made were the result of not paying attention to certain details, or not focusing on the people in front of us or to the task at hand. In investing, as we run the financials through various quantitative tests, are we paying sufficient attention to not just make sure that the financials pass the benchmarks, but if they also make sense? When reviewing businesses/stocks, are we paying attention to the areas that matter instead of the areas that we prefer or like? From my observations, a person typically make mistakes in areas that he is unfamiliar or ignorant of. However, despite my constant reminders to myself, I would not say I’m totally attentive all the time. However, the phrase “pay attention” allows me to catch myself whenever I am not doing so. During our investment team meetings, particularly in our discussions of individual companies, I would often seek to ask questions that support the team to determine if we have paid sufficient attention to the major areas. By having an aligned and capable team, with their respective strengths and weaknesses, enables us to pay attention to the different areas of a business and the stock. This allows questions and answers that may throw some doubts to the team’s original thesis, and enable us as a team to cover more areas of a businesses that we would have otherwise miss as an individual. In the end, what simply matters in investing is minimizing our losers and maximizing our winners. Paying attention to the relevant details in our investment process when assessing the various companies will support us in making sure that we can do so. Ever since news about the US-China trade war broke out in March this year, the two major stock indexes in China have taken a tumble; the Shanghai stock index dropped 22%, Shenzhen stock index sank 31%, even the Hongkong index dropped 16%. The markets worldwide are in the red. Readers of <<The Intelligent Investor>> would know that Benjamin Graham created the phrase “Mr. Market”, which was probably the most brilliant metaphor ever created for explaining how stocks can become mis-priced. When he was asked why most investors failed , “The primary cause of failure is that they pay too much attention to what the stock market is doing currently.” However, to be honest, how many people would be able to hold their nerves and ignore the movements Of the market? How many a time do you see the depiction of Wall Street having many traders jumping up and down the floor, spurred by the volatility of the stock market. Such scenes in movies are always exaggerated, but it depict perfectly the idea of the markets movements captivating people worldwide and influencing their emotions. With this knowledge, we can reflect if we are choosing to use Mr. Market to our advantage, or be led and influenced by him. Emotions are often involved in any decisions we make, including investing. Although most of us are aware of this, we tend to ignore the fact that these emotions will affect our investment decisions unconsciously. We find that chances of investing well is closely related to In today’s market conditions, where the market is in a state of emotional panic and there is deterioration of the macroeconomic factors, which may have led to the stock markets crashing, I find that there is is more interesting than analyzing the human psychology In when investing, and uncovering ways to help us avoid this psychological black hole. In fact, the recent market crash has left me wondering if we could have executed our strategies better, had I had been immune to the market noises. For illustration purposes, I’ll be diving into a few cases in point. Our fund is currently Monitoring a leading Chinese optical company, which positions itself in mid-to-high end product. It currently has a leading market share in handset lens, second only to the global No.1 supplier Taiwan’s Largan Precision (TSEC:3008), and it Hold the No.1 global market share in both vehicle lens and handset cameras. For the camera lens segment, the industry can be traced back to over a hundred years, and its technology has evolved many times: from the earliest film cameras to today’s handset cameras. However, the industry has remained strong, and will do so in the Foreseeable future. For this segment, the company is able to count the current BIG FOUR brands in China (such as Huawei, Xiaomi, OPPO, and VIVO) as part of the company’s main customers, and has recently gained Samsung as a customer for their Mobile phones in 2018. For their Vehicle Lens segment, their customers including mainly the top-tiered brands such as Tesla, Mercedes-Benz, Volkswagen etc. We believe that the unique business specialisations of the company will help it strengthen its position in the industry, due to the close Co-operation needed between the lens and camera module. The company has gained experience and the intangible know-how in optical design through manufacturing lenses since the traditional camera era, and are well positioned to capture sales in the upcoming trend of mobile camera technology of high-pixel, large-aperture and optical zoom design They are able to create synergies between the company’s own lens and camera module businesses, further strengthening its position in the industry. Its Vehicle Lens sector also enjoys a certain entry barrier moat, due to its strict auditing conditions and long certification period in automobile industry . The headline grouped Sunny Optical as part of Apple’s group of concept stock, and together with the market downgrades of iPhone’s shipment for the future, the Stock price reacted by falling. However, Sunny Optical does not provide products to Apple’s mobile phones. Is this just market noise, or useful information that we can use? We must be able to discern the facts from speculation. This news will no doubt affect Huawei, one of the main customers of Sunny. 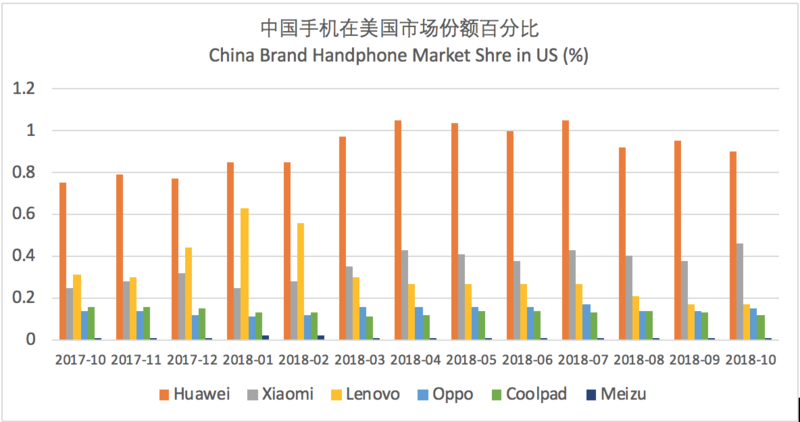 However, upon analyzing the market share of China’s branded smartphones in the United States, each of them holds less than 2% of the top Six brands (see Table 1: Percentage of Chinese mobile phone market share in the US). Why worry about the sales of Chinese smartphones in the US? Is this just market noise, or useful information that we can use? 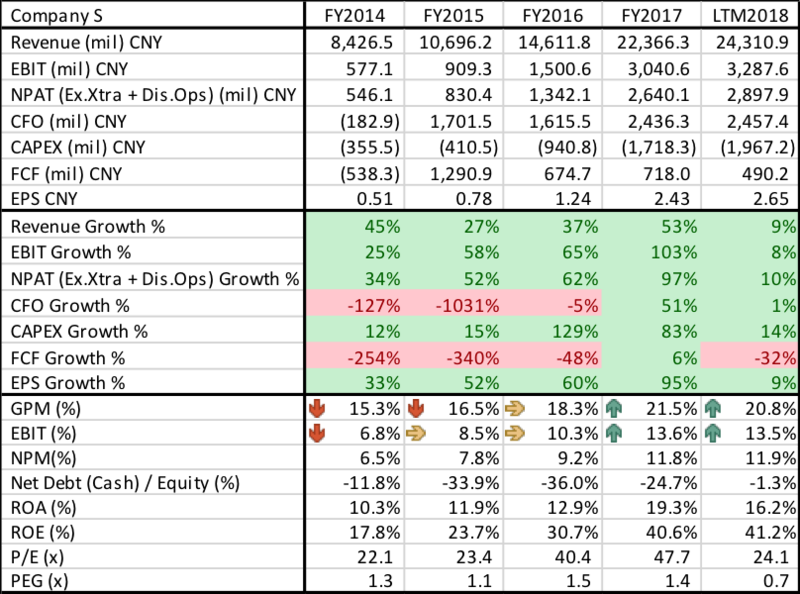 Table 1 When it comes to investing, people seem to be Addicted to looking out for more information; as we are under the assumption that the more we know, the better we can make the correct judgement. In the past, I had this bad habit: whenever the price of a stock fluctuates, I will constantly search for news that may shed some light on such movements. However, you will find that the majority of news available now are just market noises, But after constantly being fed these “noises”, it is easy for people to forget the fundamentals and change their minds. When investing, mistakes can be made in an instant, or a moment; hence the saying: one moment in heaven How can we make sure that we are able to make sure that moment that we get will sure we land in paradise? Lao , one of the moments of the hell. Tzu once said: With more information, there’s a higher chance one will get lost. Why? First of all, too much information will confuse you. Secondly, news tend to be mixed with other people’s opinions, affecting your judgement. The more information you receive, the harder it is to remain grounded, unsettling your state of mind. During his time, “investing” may not have existed, but yet I find the quote that he said extremely relatable to investing. To combat this, there is a ratio called the signal to noise ratio. Signal-to-noise ratio is a measure of how much useful information there is in a system, such as the Internet, as a proportion of the entire contents. With the popularity of information networks, the amount of information is in a state of blowout, and the information that is often useful in the stock market is covered by those noises, thus the ratio is very Low recently. In such turbulent markets, we need to be able to clear our mind and find the true value of the investment along those noises. When investing, Less is more. For investors, the most important thing is to control their own behaviour and make rational investment The more information does not help us overcome our inner demons, we must build our own investment process and act on it to help us return to rational investment. For my conclusion, I have included key points from books of “Why smart people make big Money mistakes” and “The little book of behavioural investing” which I personally find very useful to guide us when investing, and can contribute to your investment process. Only track the company’s fundamentals, future developments, and industry-related content. Determine what kind of information is the useful information, and what is the noise. Taking the previous case as an example, please refer to Table 2 to focus on the factual state of the enterprise. When the emotion comes, hold on first. In the face of this stock market crash, it was a little unexpected, and the surprise led me to somewhat doubt my own judgment. As a member of the Hidden Champions Fund team, I am grateful for the trust and support of Clive, with help and insights from Zhipeng, Joshua and Jinliang, we are able to exchange our perspectives from different perspectives, with a focus on the facts, focusing on the process, to ensure the Fund is well protected. The road of investing is long and arduous, but together we will strive to uncover the best. As time passes, with the benefit of hindsight, I would like to conclude by referring to Milan Kundera’s quote and perhaps reflect: Have we crossed the chaotic rocks and obstacles of the market, and are we headed for the fertile shore that is value investing?